Perked for Inground System. 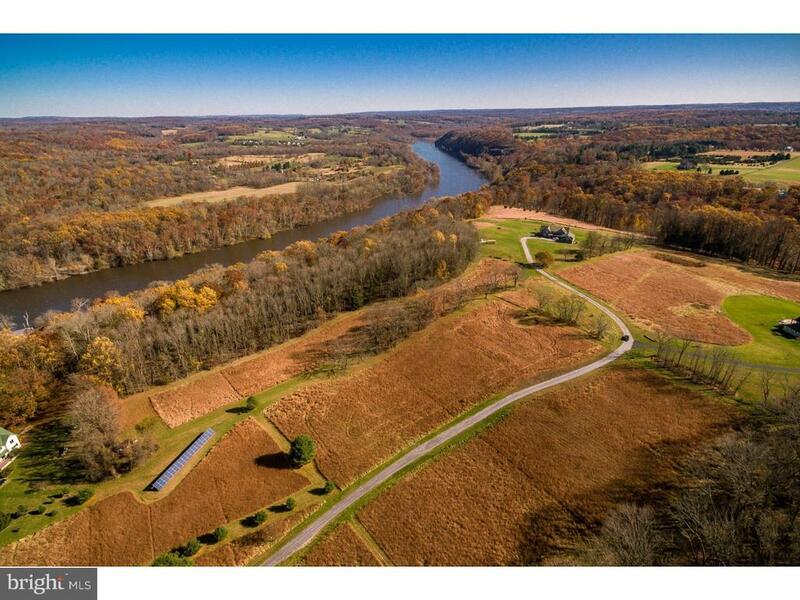 In a prime setting high above the river but walkable to the historical villages of Lumberville and Carversville, this 19-acre building lot is set within an 80-acre conservation area. Tranquil, private and with excellent supporting real estate, this is an ideal place to build your own singular estate residence. Site engineering has already been done, so you can start on the design process now. Enjoy the hilltop setting, inspirational views and gently winding drive. The unrivaled Solebury Township location is brimming with the presence of nature in its mix of open space and shaded woodlands. In addition to being a permitted building lot for a home, the additional land, with its rich agricultural soil, can be used for gardening, nursery stock or hobby farming, including raising farm animals. Walk to Lumberville and the Delaware River and Canal, the Black Bass Hotel & Restaurant and the quaint Lumberville General Store for breakfast and lunch. Stroll down the gravel road to the village of Carversville with the Carversville Inn and gourmet Carversville General Store. The previous perc permit has expired. Land is under conservation and Farm Act 319.